Epson, the world's leading projector manufacturer, has announced the launch of the LightScene projector, a new category of spotlight-shaped accent lighting laser projectors. The innovative projector is designed to simultaneously illuminate and project dynamic content on virtually any surface or material. The new projectors offer a fresh solution for retailers, restaurants, bars or hotels facing an increasingly competitive environment, by providing an innovative experience for digital art, commercial signage, and spatial design applications. The LightScene EV-105 is ideal for curated visual environments such as retail showrooms, shop window displays, museum exhibits and art installations where minimal visual clutter is key. “Display technology is changing the way consumers interact with brands and products, with the ability to delight and engage consumers in entirely new and visually compelling ways. The LightScene projector expands Epson’s presence in the signage and lighting sector with its space friendly design and flexible visual expressions. It can enable creative displays to deliver edutainment type content through imagery, motion and information. Retailers and businesses can easily create captivating and immersive environments for a memorable experience,” said Danny Lee, Director, Sales & Marketing, Epson Malaysia. 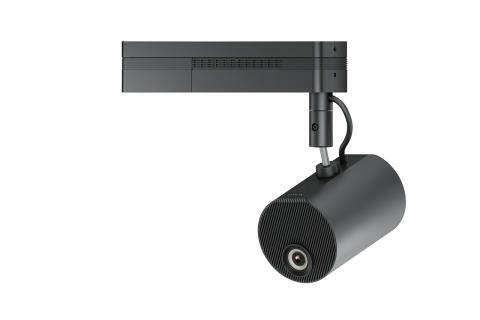 The LightScene projectors blend in discreetly and offer an array of configuration, mounting and programming options. The technology offers the best of both worlds – beautiful displays and unobtrusive visuals – while providing performance, versatility and reliability. 3LCD laser technology – Epson laser technology provides up to 20,000 hours of virtually maintenance-free operation, plus a sealed optical engine for amazing image quality and outstanding performance. Robust content tools for ease of programming– The Epson Content Manager software includes templates, effects, colour and shape filters, and customizable options. Users can also create playlists, and schedule synchronized playback for up to 16 projectors at the same time. Bright visual display system – Offers up to 2,000 lumens of colour brightness and 2,000 lumens of white brightness for vibrant, rich colours. Making its first appearance in Malaysia at the ARCHIDEX 2018 – the region’s leading architecture business event, consumers can see the creative display potential of the LightScene range of projectors in the signage and lighting sector. The annual industry trade event will take place from 4 to 7 July 2018 at the Kuala Lumpur Convention Centre. 20,000 hours is the estimated projector life when used in Normal Mode. Actual hours may vary depending on mode and usage environment. Epson announced the launch of its new mid-range 3LCD laser projectors, the EB-L500/L600 series, which offers one of the smallest footprint in size and weight in its class. Suitable for corporate and education usage, the EB-L500/L600 series of laser projectors brings cost savings with minimal maintenance, while delivering spectacular image quality.